Season’s Greetings, today marks the start of the CS:GO Winter Offensive! 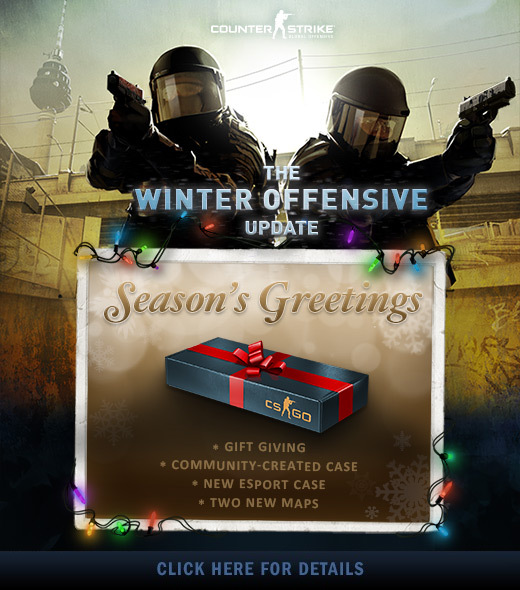 The Winter Offensive Update introduces gift-giving, the first ever Community Case, and a new eSports case! 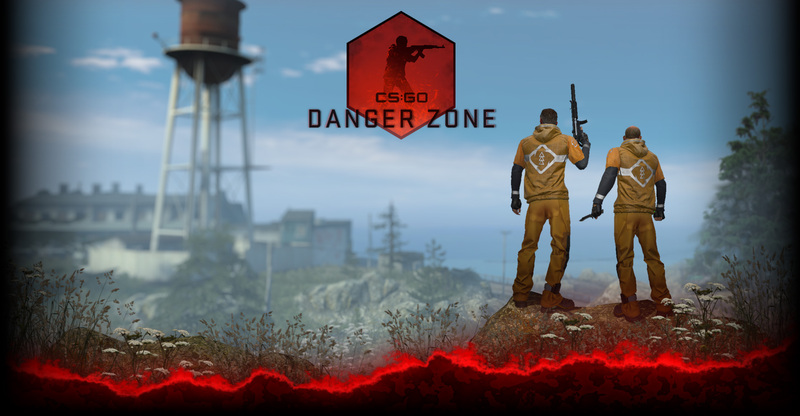 We also wanted to make sure that two new maps, Cobblestone and Overpass are as balanced as possible, so we will be collecting data from a smaller group before going wide with them. Starting now, and for a limited time, both maps will be available for matchmaking in Operation Bravo. Click the image above for all of the details on the winter event!